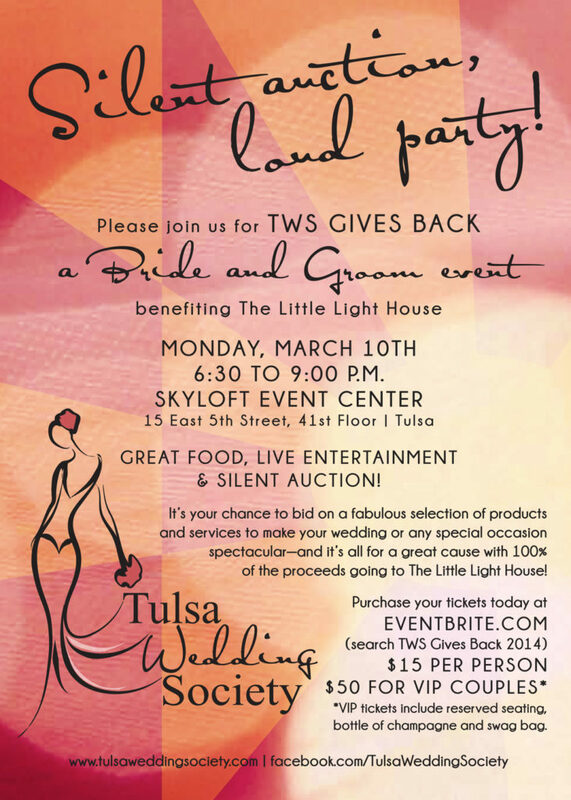 We are only 1 week away from our annual Tulsa Wedding Society Gives Back Auction! We are thrilled to be doing this for the third time. Once again we are raising funds for the Little Light House. A few of our members have direct connections to LLH and its very near and dear to our hearts. Last year we were able to raise $15,000 for them and we’d love to do that again! So here’s the skinny on what it’s all about! It’s your time as a bride, groom, or anyone involved in planning a wedding to come have a fabulous night out! This is a fun event with live music, games, delish food, sweets, and beverages. – Not to mention the hoppin’ silent auction. Our members have donated their services for you to come bid on for your event. We have everything from bachelorette parties to wedding coordination! It’s a great time for you to come shopping for your wedding and help out a wonderful organization. And just as great, your purchases are tax-deductible! (I’m not sure of many other opportunities that you can write off your wedding!) All proceeds, including ticket sales, go directly to Little Light House. So get out those check books and come out for a fun evening. We’re also raffling off his and hers FABULOUS Oakley sunglasses! So bring a little cash for your chance to win those. Tickets are $15 for individuals and $50 for VIP couples. 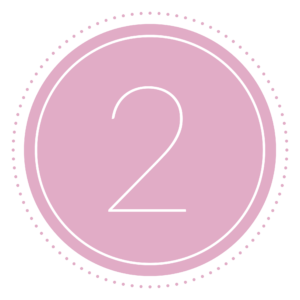 VIP couple includes reserved seating and a bottle of champagne, a great swag bag, and 5 raffle tickets and more! Everybody gets food and beverages, yum! Then be sure and hop on over to our Facebook page and give us a like so you can see updates of all the awesome items that have been donated! That looks amazing. Wish I could have went!